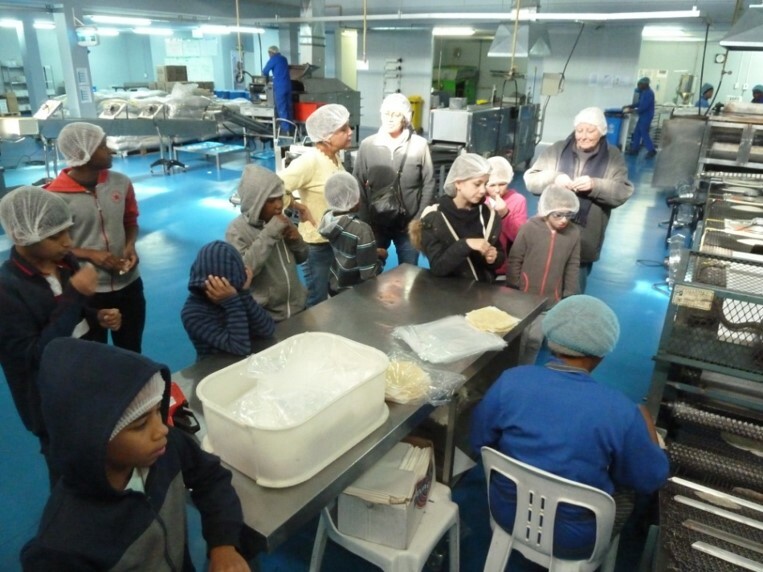 12 children and 3 teachers from Nkowa Private School situated in Rivonia visited our manufacturing plant for a ‘hands on learning experience’, focusing on Mexican history and traditions though the products that we locally manufacture here in Midrand. 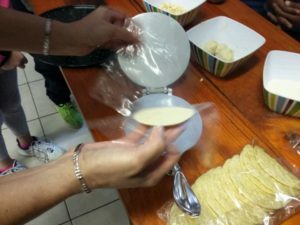 First you need to know how to make tortillas by hand! 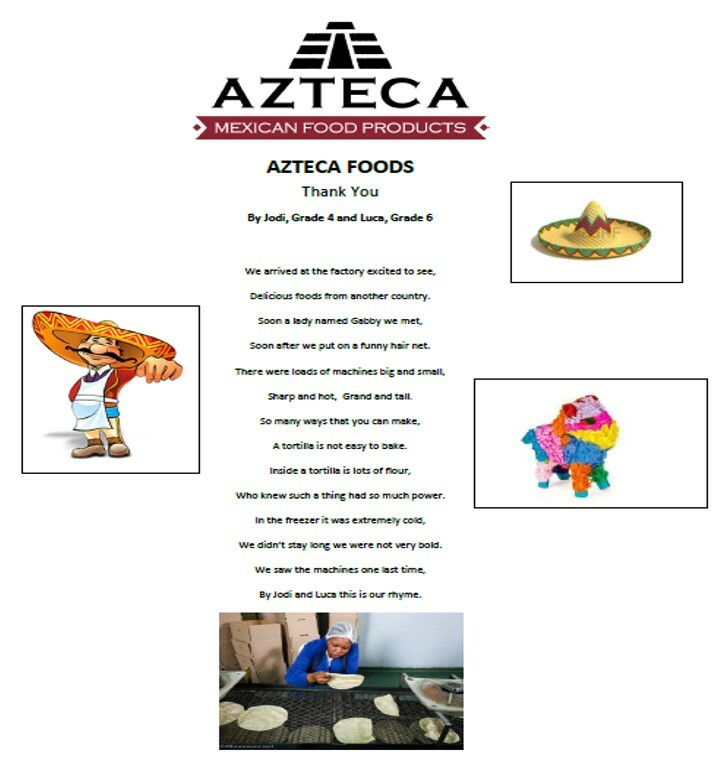 For us, sharing our Mexican traditions, especially with children, through the products that we make has always been one of our favorite parts of working at Azteca. We always try to explain the processes through innovative and relevant concepts – making it fun for them. 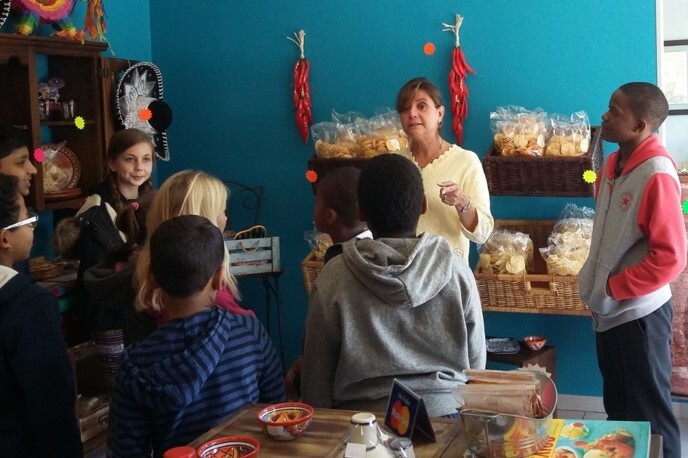 The kids from Nkowa were very involved and interested in the diverse range of products and how, from different kinds of flour and other ingredients, and a few different processes, you can obtain either a wheat or corn tortilla and even a nacho chip! 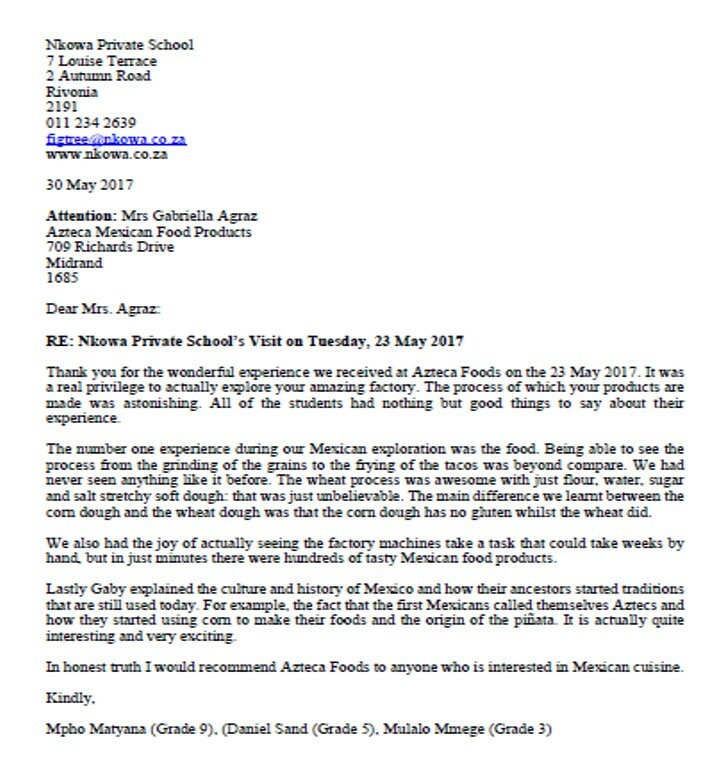 We were so impressed as they asked very insightful questions related to the processes, different ingredients, times and temperatures. And the differences between corn and wheat flour. It was a real pleasure to share this experience with them. and cultures through real life experiences. Our students immersed themselves and even cooked a Mexican meal with the gift bags they received. Azteca offers a very unique experience for all who visit it. We appreciate the role Azteca plays in our communtiy and encourage visitors to visit it for an unforgettable experience!